Mario Memories: Conquering the First Level in Super Mario Bros. In this series of 30 daily articles celebrating the upcoming 30th Anniversary of Super Mario, various members of the Nintendo Life extended family will share their memories and thoughts on the iconic franchise. This time we have news writer, reviewer and Australian Correspondent Liam Doolan. When I discovered gaming in the mid-90s, it was all thanks to my older cousin who had put the glory days of the NES behind him. It was now, well and truly, an out-of-date Nintendo system. In Australia at the time, the Super NES was in its stride, with the Nintendo 64 following shortly after in 1997. Having never really played a game prior to receiving the NES from my cousin, it was only natural that the first game I did play on this system was the original Super Mario Bros. released 10 years beforehand. My earliest memory of Super Mario Bros. is the first stage of the game, World 1-1 – as is probably the case for many people. At the time, my family and I lived in a rural area and had about 60 acres of bushland around us. The nearest landmarks were wineries down winding dirt roads and town was about 20 minutes away. Beyond that, there wasn't much else, so entertainment mostly came in the form of good old fashioned outdoor activities – like playing in our makeshift sandpit – provided there were no brown snakes, centipedes or redback spiders hiding in between the logs, and that wildlife hadn't got to it first. Other options included water fights with my younger brother – provided we weren't on restrictions at the time due to drought conditions – or adventuring around the perimeter of our property. Video games, as a result, became a good inside activity and one where our mother would not fret about where we were and what we were doing at the time. We played a lot of games on the NES because of this, including Duck Hunt and Excitebike – but these were different to Nintendo's main outing. Unlike Super Mario Bros., there was no true sense of progression or end goal within these games. In Mario, however, there was. One of my earliest memories of this game was that I had a sense of fear about progressing further into the first level. I am not sure why exactly this is. Even jumping on an advancing Goomba was a thrilling prospect. I still have this same problem to this day, with certain enemies popping up on screen out of nowhere scaring the life out of me. GoldenEye 007 on the Nintendo 64 was a serious offender of this, and I believe my fear of such things started with the original Super Mario Bros. game. One day though, my father came home from work for lunch, and at the time myself and my brother were playing our NES. I vaguely remember edging myself on to go just a little bit further than I previously had in Super Mario Bros., and it was on this particular day I ended up completing World 1-1 for the first time ever. My younger self was ecstatic about this accomplishment. By this point my father's lunch break was nearly over, and he was moving towards our lengthy driveway to head back into town. As he was leaving I remember running out, barefoot, over the sandy gravel and calling out loudly something along the lines of "I did it, I completed the first level in Mario" – I don't really remember what his reply was, but I'm sure he was happy for me at the time. Little did we know it was this special moment with Super Mario Bros. that uncovered one of my greatest passions in life – gaming. And, for that, I am thankful. Probably one of the most played and instantly recognisable levels in all of gaming. This one level can teach you pretty much everything you need to know about making great platform game levels (and indeed great game design in general, to a large degree). Played 1-1 many times as a child. Actually I would even play this with my mom before my brothers were born. A nice memory to have, something like that would never happen like that nowadays lol. Slowly discovering the secrets gave an impression of infinite things to discover. That first Goomba in world 1-1... if it could talk, imagine the stories it would tell. No worries, mate. We all start somewhere. I must have been running around Princess Peach's castle for a week in Mario 64 before I stumbled into a painting and realized "This is an actual game, with levels!!" No one is born knowing how to play games. Part of the magic is learning. I think it was Wolfenstein on SNES......I got to a boss and he yelled, "Coming for ya!" Scared the crap out of me. I remember playing SMB when it was the big, hot thing at the moment (*cough, sputter "Back in my day..."). I was like 7-8 years old and saw it for the first time at a friend's house and was like "WOAH! Let me try!" I remember making it to 1-4, Game Over'ing and thinking that I had made it almost to the end of the game. It was only when I got a Nintendo with SMB (and Duck Hunt) for Christmas the same year that I learned right away that our princess is usually in another castle (and that Nintendo games were much longer and more complex than Atari games). how about how totally different the mood is in the second, underground level? its all dark and ominous, i remember that goomba in between the pillars below the coin block being a particular challenge when i was just a wee sprat. how funny it is now to look back on that. @Cyber-BLP-- No surpising. lol. Although, it can probably still teach even 'shooter' game designers a thing or two that's relevant to their own games. You guys are so young... I don't mean to disrespect your Mario Memories, but they are all kind of anachronic. I mean, you played those games YEARS after their release. You should have asked for people to share memories of when this game came out. People who actually played it when it was a new thing. Like I did with Mario Bros 2, which was my first Mario Game and I didn't get why people thought it was weird, since it was the "normal" Mario for me. I'm still upset that Wart disappeared as a villain. I know I probably sound arrogant or like my memory is better, but I mean, at least is a memory from nearly 30 years ago when the game came out. and this is supposed to be a celebration of the 30 years of the franchise, as in "what was in the radio when this game came out". I had the same experience with SMB3. After months of learning to play Super Mario (SMB3 was the first Super Mario game I played), I finally managed to get to the airship in the first world. When I beat it, bam, I got to world 2. I was shocked and utterly confused, for I would never have imagined that that one map was not the entire game. But, my god, we now very well know that neither is there one, nor are there only two worlds in that game. @Al_Godoy this particular series of articles is meant to be a collection of NL contributor's mario memories. In my opinion it doesn't somehow make it less authentic that those memories didn't occur at the precise moment the game was released. I think it's nicer that they don't actually- our hobby is a broad church and people of all ages love mario as it's one of those things that transcends age, gender etc and all the other differences that seperate our species. 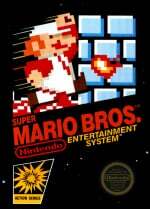 Side point- mario bros 2 was my first mario game too. Stayed my favourite for a long time because of the memories attached to it. @placidcasual I understand, and I really like the content and NL staff, I just don't find this particular series well planned out. But it's fine, as long as we all love Mario. I don't remember the first time I ever passed that level, or even the first time I played the game...but I was almost certainly either 8 or 9 years old. It took me a very long time to finish the whole game, especially 8-4 since I kept getting lost in the pipes. But now, I can usually do a complete run-through in about 45 minutes, all 32 levels...provided I don't lose a life.